I think that the world would be a better place if we only ate more chocolate. You laugh, but I’ve got science on my side. Chocolate contains things with long names that do things to our brains that make us happy. Hope that wasn’t too technical? And yes, I could go into more detail but I’ve got a chile business to run, so just trust me, okay? And everyone knows that chiles are good for you (natch) so if you combine the two, then you basically have world peace on a plate. I’d best get a tux and my acceptance speech ready for my Nobel Peace Prize. I’m so excited. 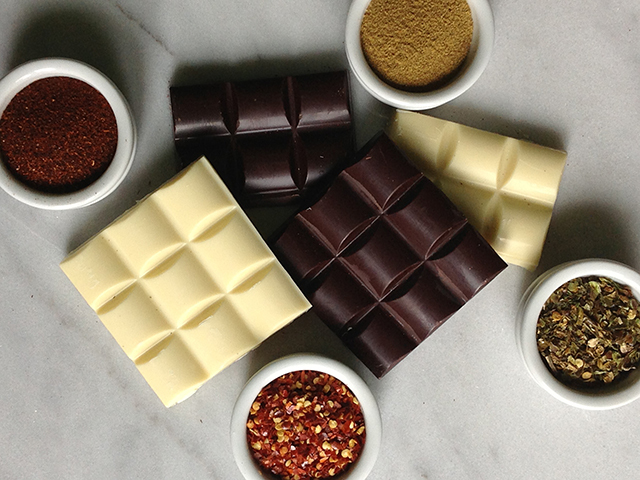 Now, chocolate and chile isn’t a new combination. 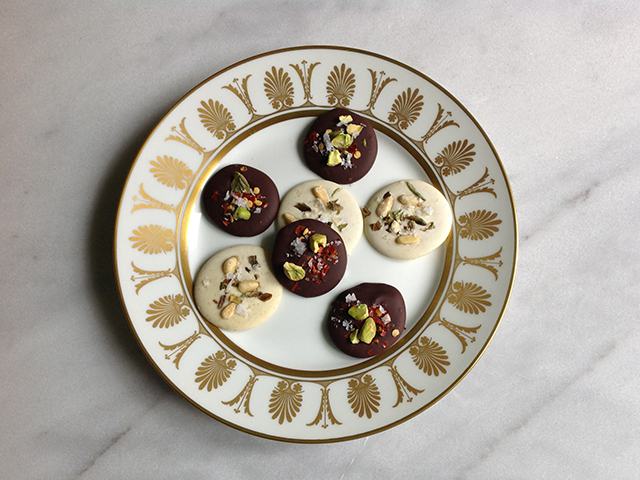 Montezuma drank his hot chocolate with chile in it and mole is a splendid concoction of yumminess featuring – yep, you guessed it – chile and chocolate. So it only made sense to bring these two star-crossed lovers together in a chocolate brownie. It’s got habanero for heat, chipotle for smokiness and our Chimayo blend because I never can leave well enough alone. 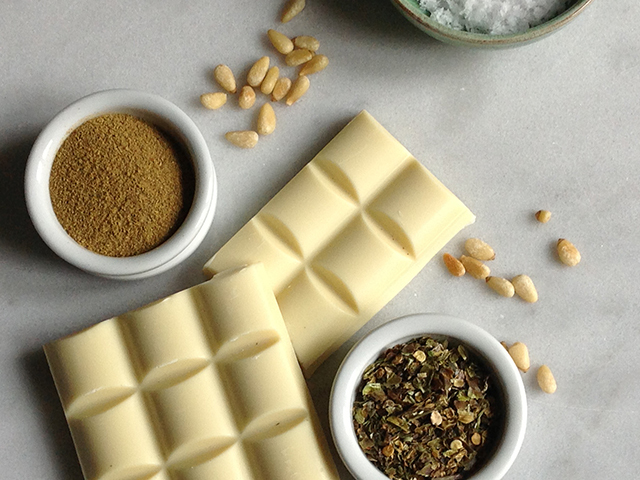 Place the butter and chocolate in a bowl and set over a pan of simmering water to melt. 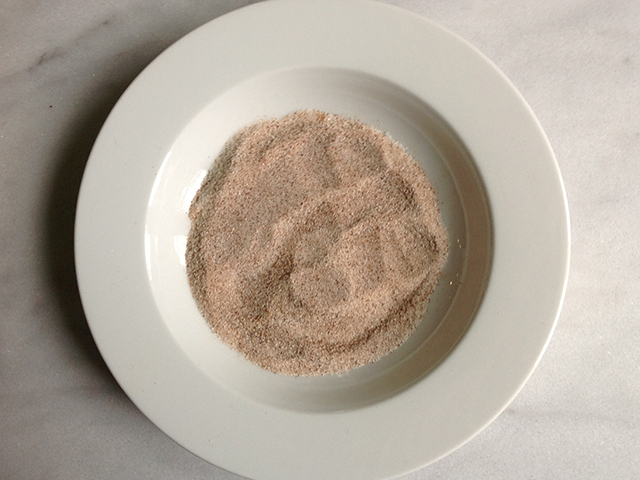 Remove and stir in the sugar – it will look like grainy chocolate sand, but don’t worry. Slowly mix in the eggs. Then add the vanilla and the three chile powders. Gently fold in the flour and finally the nuts. Spread into the prepared pan. Place in the oven and check after 15 minutes, turning the pan if need be. The brownies are done, when they start to pull away from the pan slightly and a metal skewer inserted in the center of the pan is hot to the touch. Total cooking time should be about 20 minutes. Remove and place on a cooling rack. Slice and serve. You’re stranded on a desert island. You can take ten foods with you. And no, there isn’t any other food on the island. Just you, a lot of sand and some palm trees. So what’s it going to be? Love asparagus? How about eating it everyday for the rest of your life? I mean, think about it – ten foods to eat forever. It’s not easy. Now the practical me, says lemons. They taste great and I won’t get scurvy and end up looking like a toothless pirate. Chile, of course. Silly question. I’d have my own cache of red and green in powder, crushed and whole. 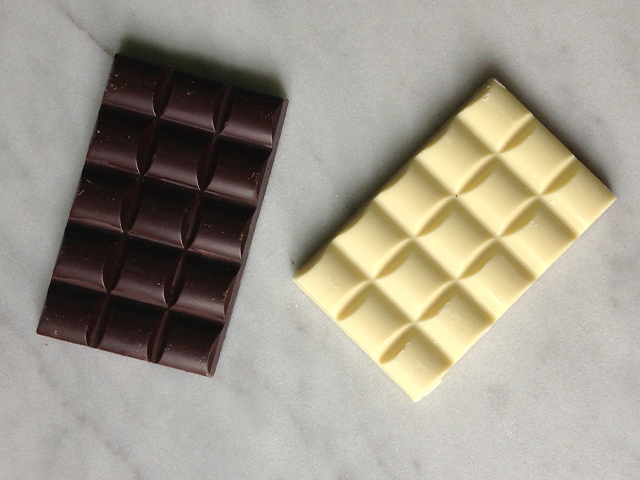 Another no-brainer is chocolate. If I’m hanging out on an island, I want some chocolate because it a) tastes so darn good and, b) makes life look a bit better. And chocolate is a natural with chile. 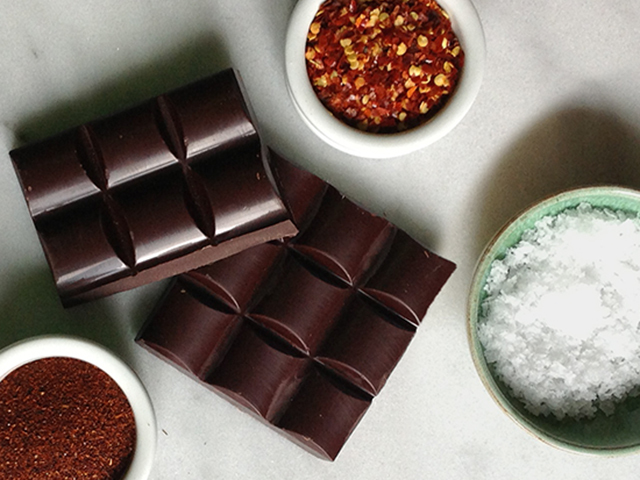 The ancient Aztecs loved drinking chocolate with chile. There’s a great book called The True History of Chocolate by Sophie and Michael Coe that charts the history of chocolate including the chocolate/chile connection. What are your top-ten desert island food picks? Share them with us. It’s official. What’s the first food in Cosmo magazine’s food aphrodisiac list? Yep, you got it – chile. Honest. It trumped chocolate and bananas (no comment). Are we surprised? Not a bit. 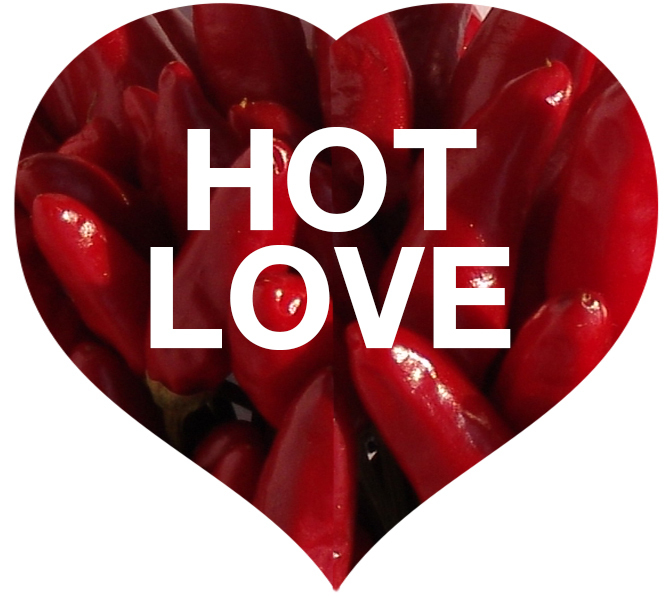 Chile is – let’s be honest – the food of love. Just think about the tingle your lips get when you eat chile. Need we say more? And what better time to celebrate the food of love than Valentine’s week? You may love it (excuse the pun) or loathe it but there’s no getting away or around Feb 14. So why fight it? I’m not suggesting you buy a dozen roses with baby’s breath – but food, absolutely. So let’s scroll down the ‘ole Cosmo list. You’ve got vanilla and chocolate along with the usual suspects like oysters. 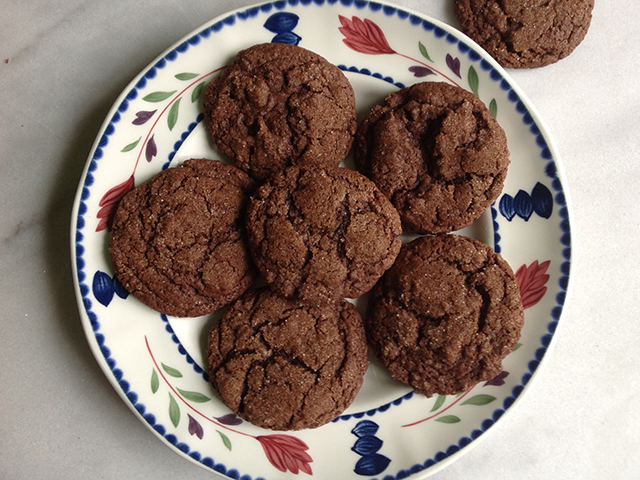 So we came up with a chile-spiked chocolate cookie with a hint of vanilla for a triple-whammy of aphrodisiac loving-in-the-oven. This is a crinkle cookie, dusted in a chipotle chile sugar mixture. So the word YUM comes to mind. 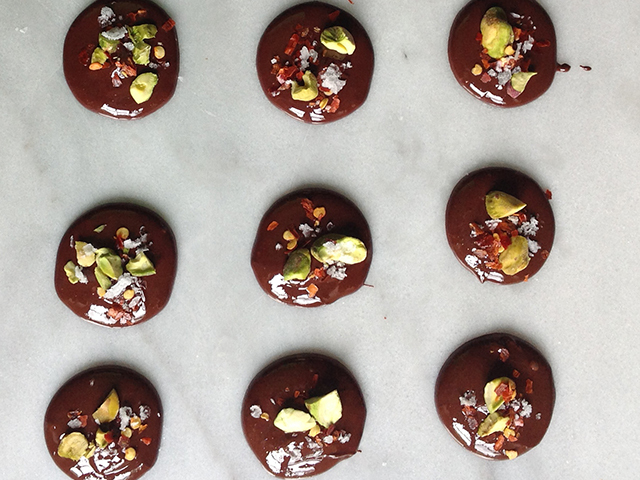 We’re making no promises but be honest… a chocolate cookie with chile? Who needs a hot date when you’ve got a couple dozen cookies to keep you company? 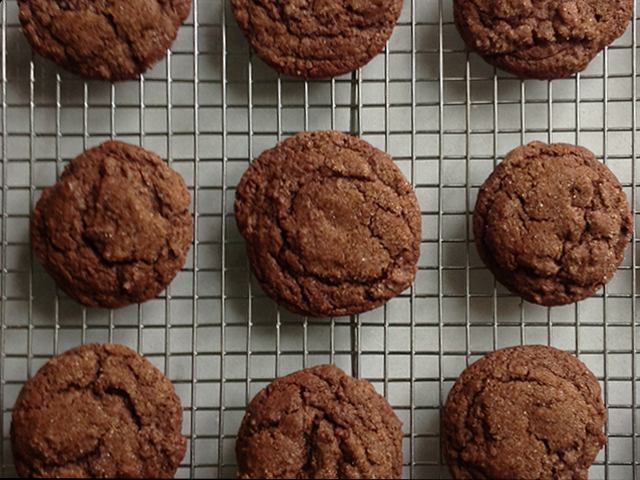 These are good ‘ole fashioned crinkle cookies but with a hit of chile. What’s not to like? A note on the chile…we made these originally with only ½ tsp of chipotle chile powder but the chile was way too faint so we’ve upped it to 1 tsp but you could go higher. We suggest making the sugar dipping mixture with 1 tsp, taste it (even better test a small batch) and ramp up the chipotle if you like. Another variation would be to add a teaspoon of chipotle to the cookie mixture itself. If you give it a try, let us know what you think. In a bowl, sift together the flour, cocoa powder, cream of tartar, baking soda and salt. Set aside. 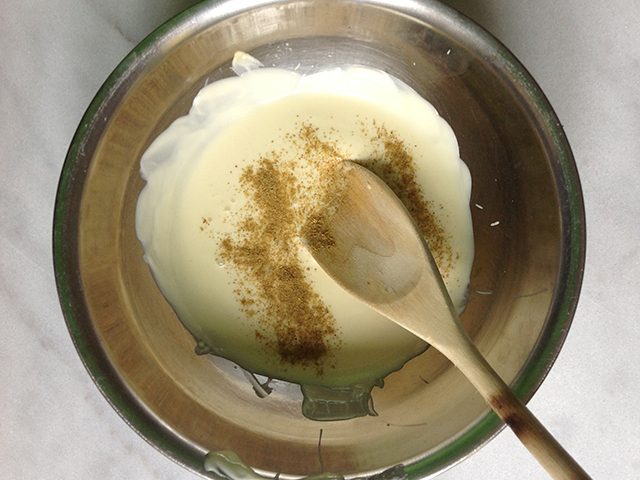 In a mixer (or you can use a hand mixer), cream the butter with 1 cup of the granulated sugar and the brown sugar. Scrape down the sides of the bowl then add the vanilla and eggs and combine thoroughly. Gradually add the flour mixture on low-speed and mix only until just combined. 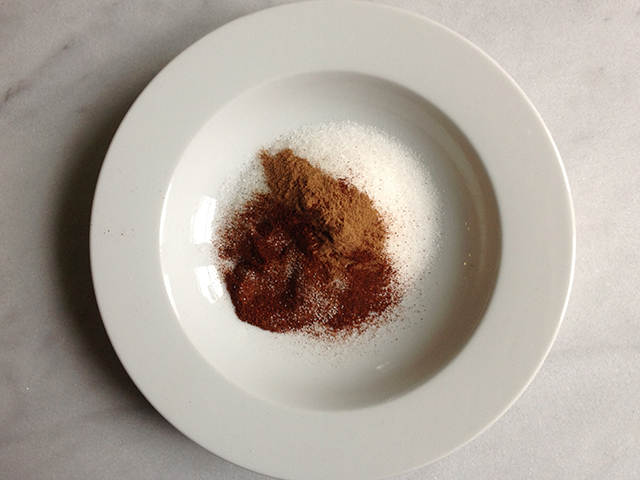 In a small bowl, combine the remaining ¼ cup granulated sugar, cinnamon (if using) and the chipotle chile. Use a small ice cream scoop or two tablespoons to form the dough into balls. 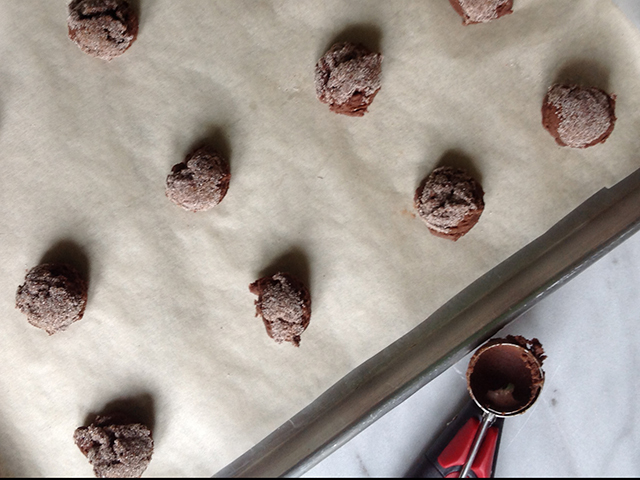 Roll the balls in the sugar/chile mixture and place them on baking sheets lined with parchment paper. The cookies will spread so place the balls a couple of inches apart. 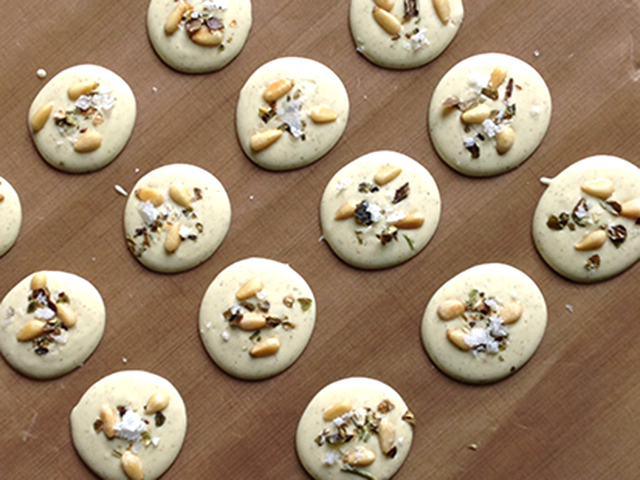 Bake them for 8-10 minutes until they start to crack and the cookie is baked through. Remove from the oven and place the baking sheet on a wire rack. Allow the cookies to cool on the pan for about 5 minutes before placing the cookies on the wire rack to finish cooling.